Some may know him as the ultimate bachelor on the show "Mom's Diary: My Ugly Duckling". Some may know him as the ultimate nationally renowned singer. After a long hiatus of five years, Kim is finally making his comeback. And honestly? The album needs no introduction. 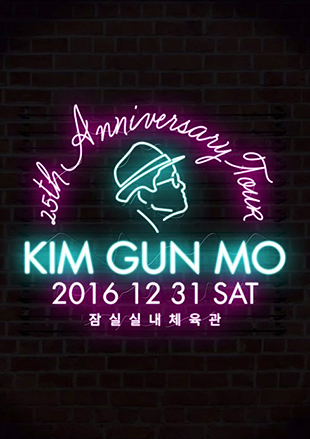 Celebrate with Kim on the last day of 2016 to ring in the new year with new and old music from one of the most successful singers in Korea of all time.